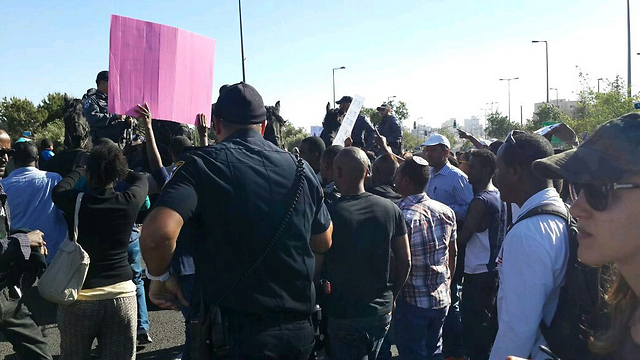 After Ethiopian says he was attacked by immigration officials, Israel's Ethiopian community takes to the streets to protest. "We've had enough! No to racism, no to discrimination. Our democracy is at risk. Enough to police violence," protesters said, blocking the entrance to Jerusalem and its main artery. Rina Angado, a member of the community, told Ynet "our kids serve in the IDF and then cannot find work. I came here through Sudan on foot to help form the state (of Israel), I didn't come so my kids would be abused by the police and the state. This is the result of 30 years of racism." "They took my shoes and beat me with a crowbar," says Walla Bayach, an Israeli of Ethiopian descent living in Be'er Sheva, who says that inspectors from Israel's Population and Immigration Authority assaulted him on Wednesday thinking he was a migrant. The Population and Immigration Authority presented a different version of the incident, saying that Bayach had assaulted the Immigration inspectors first after they asked him to present identification documents. Israel Police Commissioner Yochanan Danino met with Israeli Ethiopian representatives on Thursday in light of the recent violent incidents between police officers and members of the community. Bayach left Ethiopia for Israel two years ago. The Be'er Sheva resident was on his way to the city's employment bureau to obtain a Letter of Good Standing (a certificate of absence of criminal record) before entering a new job, when three inspectors in civilian clothes approached him. "They asked me if I was Sudanese or Eritrean and I told them I was Israeli, although I didn't understand who they were," he told Ynet. "They did not identify themselves, grabbed me violently, twisted my arm and put handcuffs on me." Bayach says that the inspectors continued to act violently after he was restrained in handcuffs. 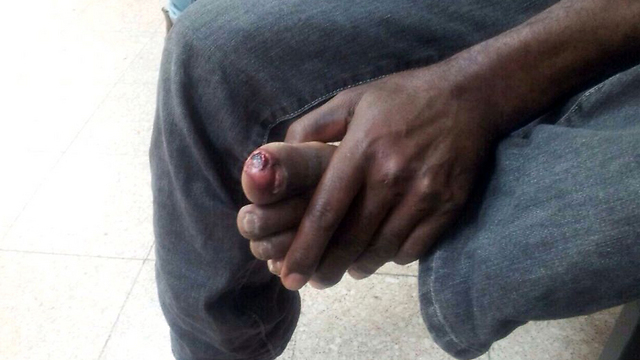 "They knocked me down, removed my shoes and beat my feet with a crowbar." "Then, they removed the handcuffs, pulled out my ID card and told me get into a car. I was very scared, I didn't know who these people who assaulted me were, and I ran to the city's employment bureau." Bayach was questioned by the police about his account of the incident and was taken to the hospital for medical treatment. "I still don't know what I am guilty of. I never stole or hurt anyone," he said. Moshe Bata, the director of the Ibim Immigrant Absorption Center in Shaar HaNegev, met with Bayach on Thursday morning. "He is a noble man and a father to four children," Bata told Ynet. "I don't believe that he attacked the inspectors. I know him well, he wouldn't hurt a fly. There were incidents in the past in which immigrants from Ethiopia were mistaken for asylum seekers. There are some people in the Israeli society who are racist towards Ethiopian immigrants." The Population and Immigration Authority rejected Bayach's claims and said they were false: "In fact, a completely opposite scenario took place. The Immigration inspectors asked Bayach to identify himself as part of their routine operations. He refused to do so and started to assault the inspectors, forcing one of them to seek medical attention. The inspectors filed a complaint and it is being examined." 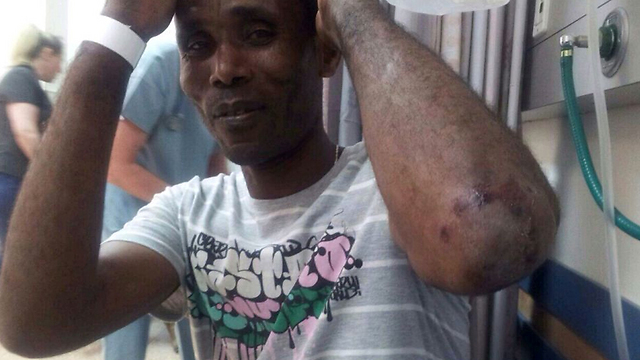 Walla Bayach, resident of Be'er Sheva, says inspectors beat him after suspecting he was an African migrant: 'They twisted my arm and handcuffed me'. "They asked me if I was Sudanese or Eritrean and I told them I was Israeli, although I didn't understand who they were," he told Ynet. "They did not identify themselves, grabbed me violently, twisted my arm and put handcuffs on me." Bayach says that the inspectors continued to act violently after he was restrained in handcuffs. "They knocked me down, removed my shoes and beat my feet with a crowbar." "Then, they removed the handcuffs, pulled out my ID card and told me get into a car. I was very scared, I didn't know who these people who assaulted me were, and I ran to the city's employment bureau." Bayach was questioned by the police about his account of the incident and was taken to the hospital for medical treatment. "I still don't know what I am guilty of. I never stole or hurt anyone," he said. The alleged attack on Bayach in Be'er Sheva joins a series of recent incidents in which Jews of Ethiopian origin were beaten by law enforcement officers. 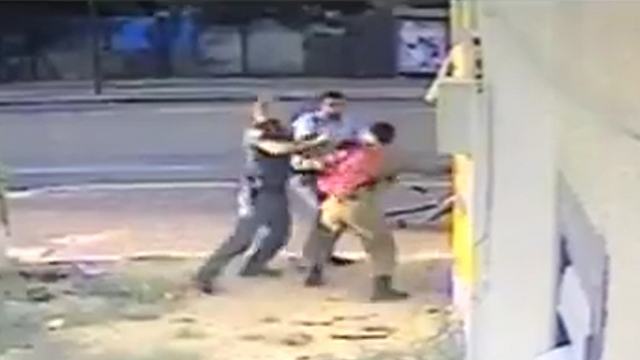 Earlier this week, a video surfaced showing an officer carrying out an apparently unprovoked attack on an Ethiopian-Israeli IDF soldier in Holon. In January, Avraham Mahari, an Israeli of Ethiopian origin from Be'er Sheva, said that officers poured boiling water over him while he was being interrogated. He later filed a complaint with the Police Investigations Department. Israelis of Ethiopian origin plan on staging a protest Thursday evening against the recent incidents of police violence against members of the community. Israeli Prime Minister Benjamin Netanyahu signed coalition deals with two parties Wednesday in his first steps toward forming a new government, one week before the deadline to present a cabinet. While Netanyahu's Likud party won the March 17 election with 30 parliamentary seats, he is still left with the task of forging a majority in the 120-member legislature in order to govern.On Wednesday, he inked alliances with the ultra-Orthodox United Torah Judaism (UTJ) party and the center-right Kulanu, putting a combined total of 46 seats under his command. Kulanu leader Moshe Kahalon, who campaigned on a platform of social reform, was promised the finance portfolio, identical statements from his party and Likud said. "In the forthcoming government we shall press ahead with reforms on housing, banking and work to narrow the gaps in Israeli society," they quoted him as saying at the signing ceremony. Public radio said early Thursday that Kulanu would also receive the environmental protection and construction ministries. Assignment of Kahalon's Kulanu party to construction ministries likely marks future continuation of settlement construction in occupied East Jerusalem and the West Bank, as the leader propagated his dedication towards settlement construction in the run up to last month's election. 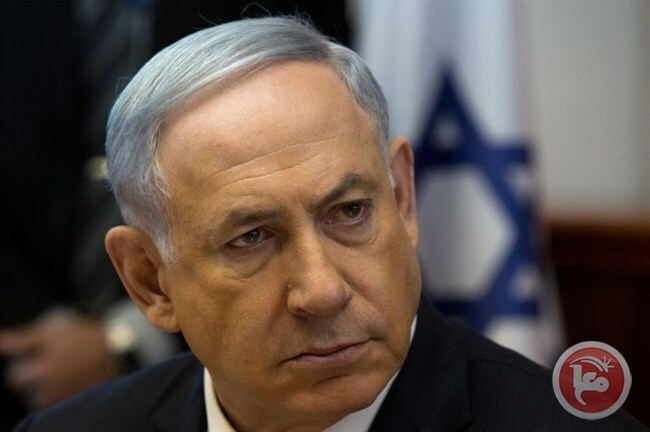 “A courageous leader must stand up and recognize Israel as a Jewish state and agree to a united Jerusalem and large settlement blocs (in the West Bank),” Israeli new source Haaretz reported Kulano saying in January. “They must renounce the refugees’ issue and understand that there’s no return to the 1967 borders. The Kulanu party will support any arrangement that strengthens Israel’s security,” Kahalon said. Support for settlement expansion in new coalition members does not come as a suprise, as Netanyahu garnered significant support from the settlement bloc and vowed to expand settlements in occupied East Jerusalem prior to elections. While an official agreement with right wing party Habayit Hayehudi has not been announced by Likud , Habayit Hayehudi confirmed Wednesday that the Agriculture Ministry would be assigned to Uri Ariel, who will also control the World Zionist Organization’s Settlement Division, a funding channel to settlements in the occupied West Bank, according to Israeli news source Haaretz.Seperately, Netanyahu's Likud announced an agreement with UTJ. "I think that the agreement we reached is a good agreement," it quoted the ultra-Orthodox party's Yaakov Litzman as saying. Ultra-Orthodox news site Kikar HaShabat said the deal included the contentious repeal of legislation enabling criminal sanctions against draft dodgers. The radio said it was agreed that Litzman would serve as deputy health minister, while fellow UTJ member Moshe Gafni would head the powerful parliamentary finance committee. Historically, ultra-Orthodox men in full-time study at a yeshiva (Jewish seminary) have enjoyed exemptions from Israel's compulsory military service. An act passed last year, effective from 2017, required yeshiva students to either serve in the military or perform civilian national service.It contained a clause setting out sanctions against draft dodgers, including imprisonment, enraging the ultra-Orthodox leadership who say it would be tantamount to jailing people for practicing their faith. Does anyone care about Israel's institutionalized racism? Op-ed: The attack on an Israeli Ethiopian by a police officer left everyone shocked because demeaning the IDF uniform was more painful than demeaning a young man. Incidents like the recent brutal assault on an IDF soldier by police officers no longer shock Israel's Ethiopian community; they've become a matter of routine for citizens who feel like the Israel Police's punch bag. Yes, that's the reality in the neighborhoods in which the community resides. Police brutality is a daily occurrence. Not a day goes by without me getting a call from a mother whose son has been beaten for no reason, from a youth who is facing criminal charges, from a pedestrian who was stopped by police and slapped around a little. It's become the way of life – and it's all down to the color of our skin. Something here just doesn't make any sense. Why is it that a significant number of Ethiopian youths are walking around with criminal records? What makes an Ethiopian youth cross to the other side of the street when he sees a policeman on the sidewalk? How come those who, as Mizrahim, once cried discrimination are now the ones who are racist and violent? Yes, it needs to be said loud and clear: The police force – from the commissioner and down to the very last officer – is comprised primarily of members of the Mizrahi ethnic groups. The latest incident left everyone shocked because the victim of the police brutality was a soldier. The demeaning of the uniform was more painful than the demeaning of the young man. So how come racism directed against Ethiopian immigrants no longer moves anyone? Why do we no longer get excited when police officers beat Ethiopian youths and the case against them is closed? How come no one speaks up? How can it be that no one cares about racism? Now is the time to issue a warning: Failure on the part of the police leadership to put a stop to the unrestrained brutality against immigrants of Ethiopian descent will lead to a black intifada, with harsh acts of violence – and you, too, will pay the price. Many members of the Ethiopian community feel they have been paying the price for three decades now – and the despair is mounting. The prime minister condemned the attack on the Israel Defense Forces officer in Mea She'arim – and rightly so. But he chose not to condemn an attack on a soldier by a policeman. Perhaps because the victim isn't an officer. Perhaps because he's black. Or perhaps Benjamin Netanyahu, like many Israeli citizens, tends to turn a blind eye to the rising violence against Ethiopians. Beware; a battered woman can be pushed too far too. One day, she will fight back or walk out to save her life. And we, members of the Ethiopian community, like that battered woman, are at that point in time. IDF confirm moratrs were 'spillover' from conflict in Syria, where heavy battles have been reported in recent hours; no injuries reported. Two mortars fell in northern Israel early Tuesday afternoon, shortly after air raid sirens blared throughout the area of Kibbutz Ein Zivan in the northern Golan Heights, warning of fire from Syria. Local residents reported hearing blasts in the area shortly after. 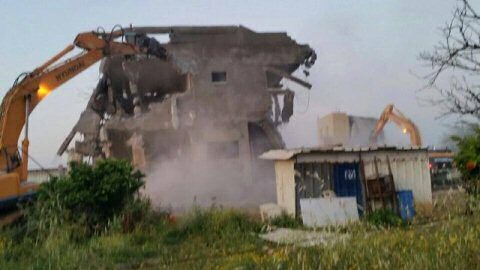 The mortars landed in an open area near orchards and a UN base. The IDF has confirmed that the two mortars were errant fire from battles raging in Syria, near the border with Israel, and not an intentional attack. 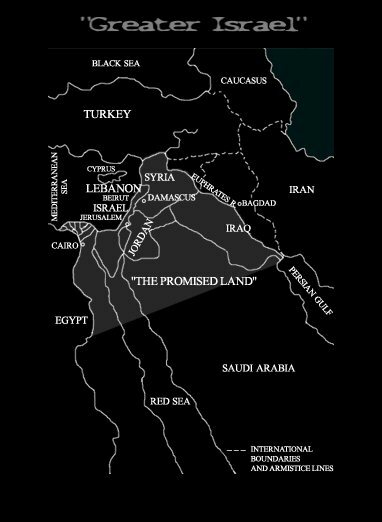 "From an initial investigation it seems that the blasts heard in the Golan were a result of internal Syrian fighting on the other side of the border," the IDF said, adding that at least two projectiles hit Israel. No injuries have been reported. "It was probably errant fire," an IDF source said. Another military source called it "spillover". The IDF said that at present, they do not know why the sirens blared throughout such widespread areas. Ein Zivan is located across the border from Syria's Quneitra - where battles have been waging between pro-regime forces and rebels in recent days. The incident could be spillover from the Syrian conflict. 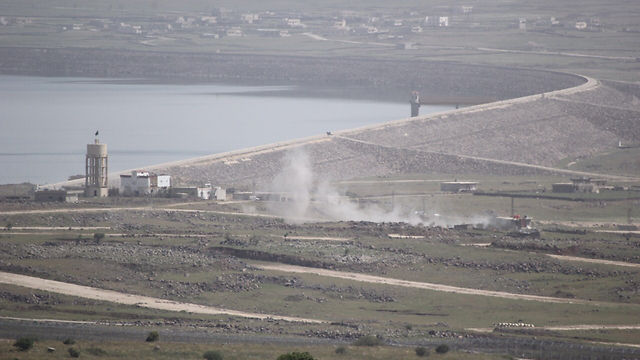 During the morning hours, reports emerged of battles between different Syrian rebel factions across from the central Golan Heights. According to Iranian media, a group calling itself “National Resistance” has reportedly claimed responsibility for the attack. The last time rockets hit northern Israel was last July, when two rockets fired from Lebanon slammed into northern Israel, followed by another rocket, this time from Syria, which landed in a town in the north of the Golan Heights. The rocket sirens were activated in the Kibbutzim of Gonen, Lehavot HaBashan, Neot Mordechai, Amir, Sde Nehemia and Shamir, as well as in the towns of Had Nes, Kanaf, Ma'ale Gamla, Kidmat Tzvi, Katzrin, Sha'al, Odem, El Rom, Buq'ata, Majdal Shams, Masada, Neve Ativ, Nimrod and Ein Qiniyye. On Sunday evening, four terrorists were killed by IDF troops as they were trying to place a bomb along Israel's border with Syria. The incident came after reports in Arab media said Israel launched an attack in Syria late Friday night, hitting a convoy of long-range missile intended for Shiite terror group Hezbollah. Last week, a code red siren was sounded in Sderot and other Gaza border communities in southern Israel as the country celebrated Israel's 67th Independence Day. The last time the air raid siren blared in southern communities was at the end of December. The rocket hit an open field in the Sha'ar HaNegev Regional Council, near Sderot. No injuries or damages were reported. 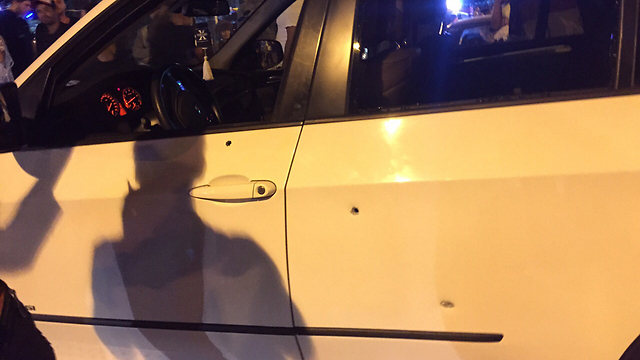 15-year-old teenager wounded in Eilat after gunshots fired at car; two girls ages 8 and 10 sustain light wounds in alleged assassination attempt. A 15-year-old teenager was wounded on Saturday after gunshots were fired at a car in Eilat, Israel's southernmost city, during an alleged assassination attempt. According to Magen David Adom, two other girls who were in the vehicle, ages 8 and 10, sustained light wounds. The wounded were taken to the Yoseftal Hospital in Eilat. On Friday night, a 30-year-old man was seriously wounded near a shopping center in Eilat, according to Magen David Adom. The man was also taken to Yoseftal Hospital with stab wounds to his upper body. 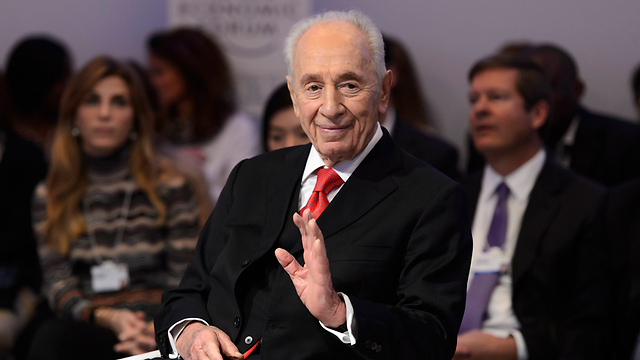 Former president Shimon Peres has decided to cancel his contract to act as an advocate abroad for Bank Hapoalim, well as his planned trip to the United States this week to speak at an event by the bank. Peres spoke with Bank Hapoalim CEO Zion Kenan to explain his decision to end the contract. The former president convened his aides on Memorial Day, telling them to cancel the contract, including the plan to fly to New York on the night of Independence Day, to address a major event to mark the bank's 40 years of operations in the US. "I am not prepared to have a false spin put on my lectures and meetings in New York. I'm not anyone's lobbyist. I would like to immediately cancel the contract with the bank," Peres told his closest advisers. According to the contract with Bank Hapoalim, Peres was to receive $30,000 per month for advisement and lectures abroad. In a recent statement, Peres' office said "not one penny was not intended for Mr. Peres' pocket, but was earmarked as a contribution to social welfare projects. However, out of a desire to be responsive to the public sentiment and because of erroneous interpretations, Mr. Peres has announced the full cancellation of the contract." In a recent interview with Channel 2 news, Peres said: "I did not do anything wrong. I do not earn a single penny, as I did not take a penny of that money. I'm not a lobbyist at all. I do not have a bank, I have my name, and my good name is the only bank that I have."